Family owned and operated, we serve original Eastern Shore cuisine, using fresh, organic and locally sourced ingredients. Whether you are on a date night and looking for a delicious meal, or want a place to bring the whole family, we look forward to serving you. Who says great food needs a stuffy environment? Come as you are to enjoy the finest in Eastern Shore cuisine. 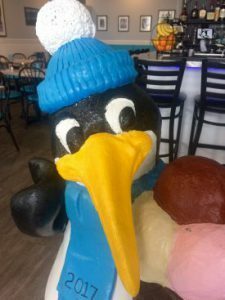 The Penguin has special relationships with the growers and fisherman in the Delmarva region that enable us to provide ingredients that are sure to satisfy you. In addition, by dining with us, you are helping to support local agriculture and encourage others to buy local.